← Day 54: Bath Oils and Scrubs Workshop. Just another chintzy Tuesday… It is truly amazing what kinds of things you can find to do for free in this city when you do a little digging. Unless, of course, you want to nitpick and count the token I used to take the streetcar to get there, in which case today’s new thing cost around C$3 (I walked home). Oh, and I ate lunch nearby, and had a chai tea latte en route, but now we’re just splitting hairs. 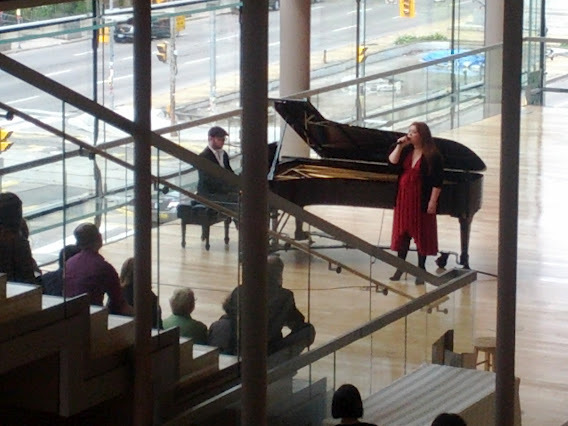 The point being that I attended one of the free noon-hour concerts offered by the Canadian Opera Company (COC) in the Richard Bradshaw Ampitheatre inside the gorgeous Four Seasons Centre. The shows are typically held on Tuesdays and Thursdays, with seating assigned on a first-come, first-served basis. When I arrived at what I felt to be more than early at 11:35 am, and there was no line-up outside, I should have realized right then and there that something was amiss. Apparently, people started queuing around 11, and the doors opened at 11:30, so all of the unreserved tiered seats were completely full. Doh! Damned devil, would you get out of the details already?!? So, I sat on the floor behind a glass panel, through which I had clear enough sight lines of the performers. The acoustics were still decidedly decent, so no point in complaining about my indifference to the fine print. After all, the price was more than reasonable. 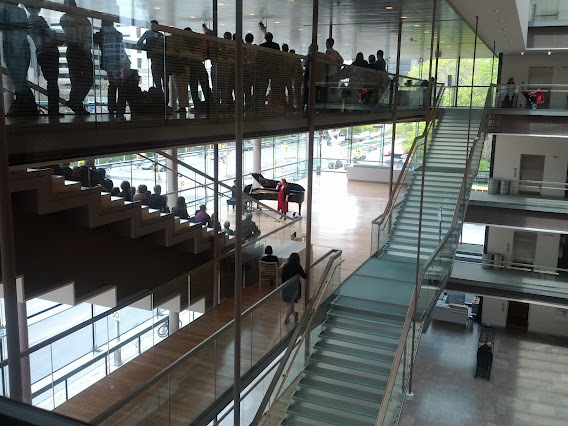 The spectacle today was entitled ‘New York State of Mind’, and featured the musical stylings (I heart that expression) of Lauren Margison on vocals, and Christopher Mokrzewski on piano, and was part of the COC’s Jazz Series. The Free Concert Series also supports Vocal, Piano Virtuoso, Chamber Music, World Music, and Dance talents. I’m definitely pleased with my choice. Lauren is all of 19 years old, with several jazz recordings behind her, and was even invited to appear on the Tonight Show with Jay Leno. Not too shabby! 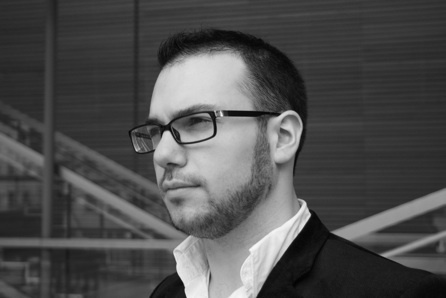 Christopher is a pianist, vocal coach and conductor, and is still under thirty. Ah, kids today… The audience had to chuckle when they broke out into ‘You Make Me Feel So Young’ about halfway through the performance, as it was pretty clear that they were having precisely the opposite effect on the crowd. The program began with a couple of Billy Joel tunes, as a tribute to the show’s title track and inspiration. Other hits then moved the audience to dream along to the rich and soulful music, including such classics as ‘Moon River’, ‘Come Fly With Me’, and that Casablanca classic, ‘As Time Goes By’. Occasionally, Lauren would take a break, and Christopher would either play and take a turn singing a solo, or tickle the ivories with an instrumental number. I was delighted by his rendition of a mesmerizing arrangement called ‘Peace Piece’ by Bill Evans. In fact, I would say it was the highlight of the day for me. 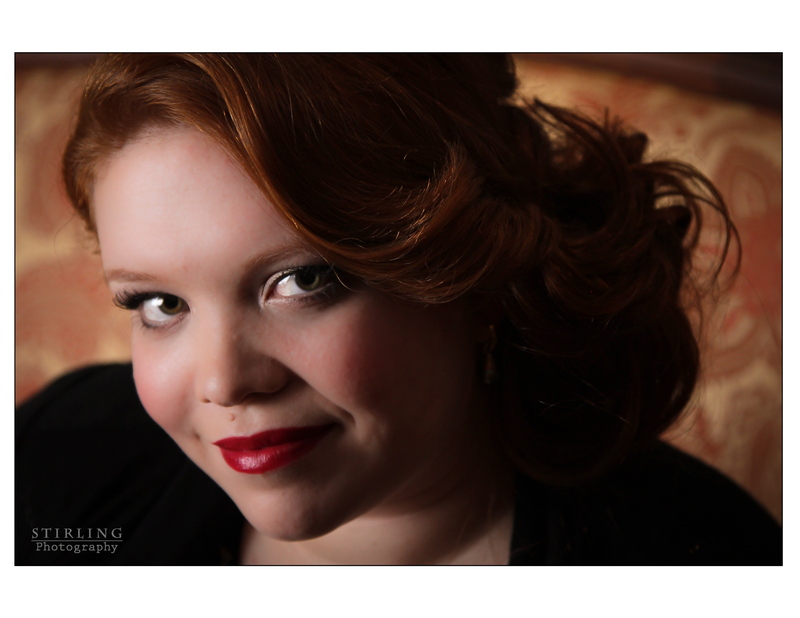 Lauren’s strong soprano voice made Elton John and Bernie Taupin’s hit ‘Your Song’ simply soar, and her sheepish admission of talking Christopher into including a little cheese into the performance was endearing. Even though there was no actual cheese available, anywhere. Something about the acoustics being really sensitive in the amphitheatre, nothing in wrappers or with any crunch was permitted, blah blah blah. Anywho… I have to admit that the closing numbers and encore song transported the crowd right out of their seats to a place where time seemed to stand still for a while and they could escape the every day hustle and bustle of the city. In fact, the venue’s acoustics so completely insulated the sound of the cars whizzing by on University Avenue, that it contrasted with the musical performance, almost like a silent film backdrop that was kind of surreal. All I can say is, that it was definitely outstanding value for the money. Toronto, you continue to impress me. Well played! 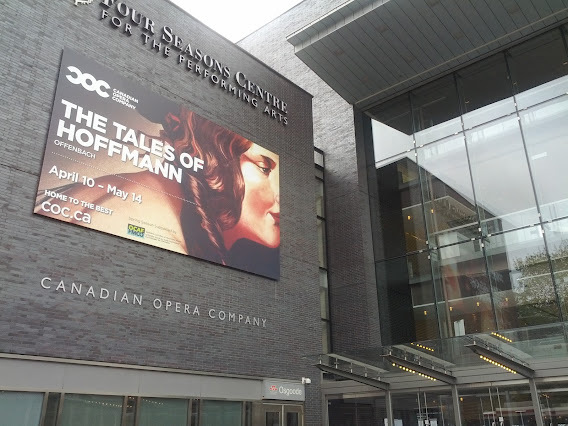 This entry was posted in Fun and Crazy and tagged April, Canadian Opera Company, Christopher Mokrzewski, COC, Crazy, free, free concert series, Fun, jazz, Lauren Margison, New York State of Mind, Toronto. Bookmark the permalink.